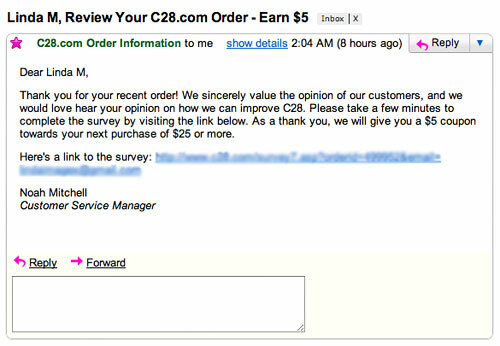 The email offers $5 off my next order as a thank you for completing a survey about my experience. 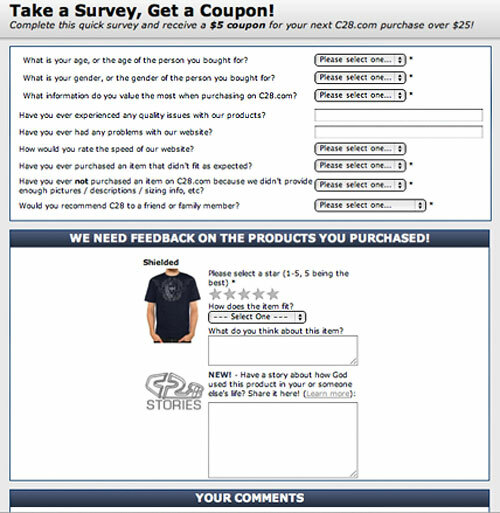 The survey is also personalized to include the item I purchased, asking for a review of it. So, with one stone, the online store receives site feedback, a product review, and potentially a future purchase from me with the coupon offer. Nice idea.